If you’re a barber or hairstylist who wants to show your customers that you know a thing or two about style, the Don Juan Logo Lined Barber Cape is exactly what you need. After taking one look at this stunning barber cape, you’ll never again want to cloak your customers in the same old cheap, boring cape that you can find in any barber shop. The Don Juan Logo Lined Barber Cape is a high-quality barber cape that can withstand everyday use in a professional environment. This cape is also perfect for anyone who styles their own hair and is just looking to add to their Don Juan swag collection. It features the brand’s iconic logo on the back in bold white and red colors, and is lined in red in order to contrast its black exterior. If you care about quality, this cape is a must-have. The material is durable and reliable, meaning that you can get plenty of uses out of it for a long time to come. It can handle regular washes thanks to the quality of the material as well as the dyes. The logo is put onto the cape by a screen-printing process, ensuring that those bold colors won’t fade or crack. 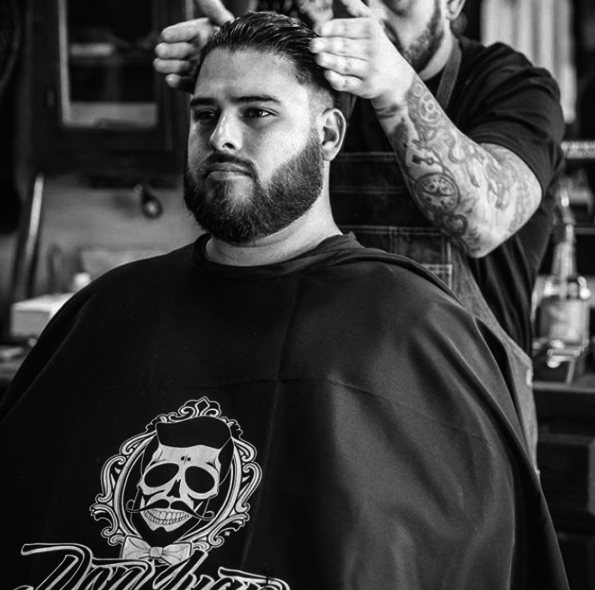 When you use the Barber Cape, you’re letting your customers know that you care about high-quality hair care products. 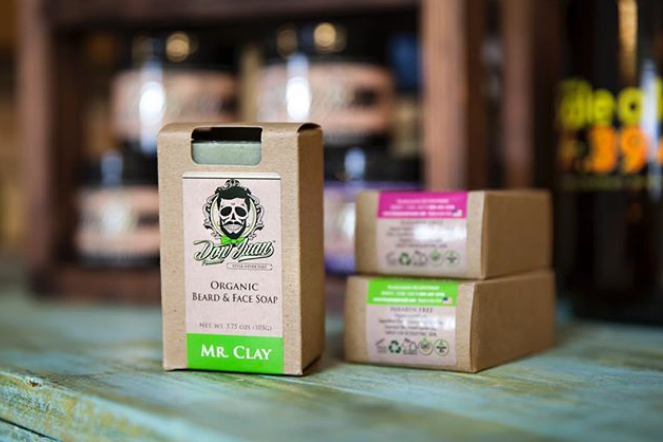 All of the products from Don Juan Pomade are made with natural ingredients and are extremely effective. Your customers will be relieved to know that you have such high standards as soon as you drape them in this stylish cape. The Don Juan Logo Lined Barber Cape is a must-have product for any hair care professional who loves style as much as they love high-quality hair products.